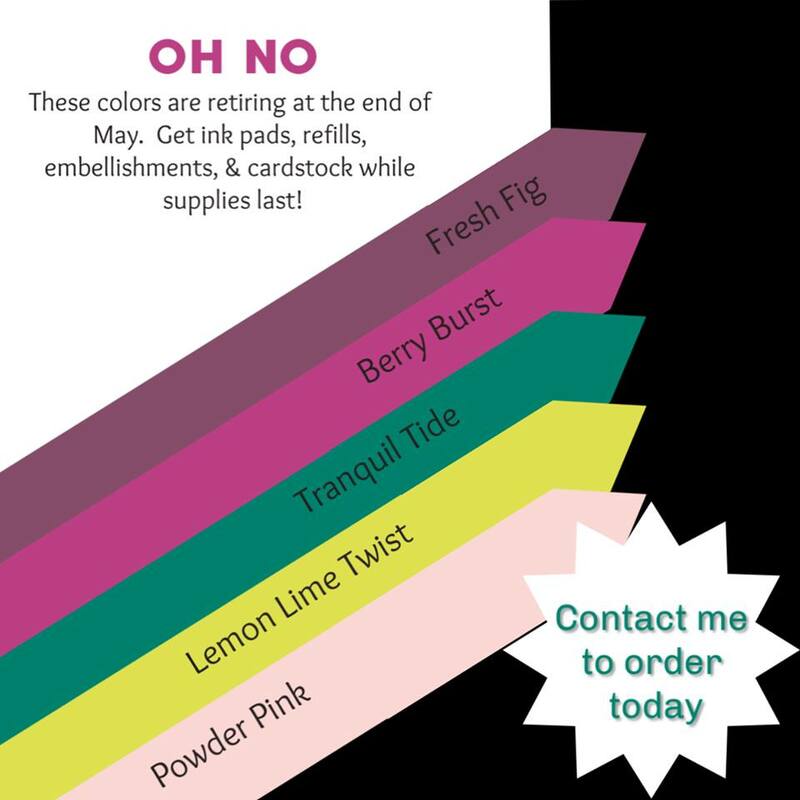 The Colors are Lemon-Lime Twist, Fresh Fig, Powder Pink, Tranquil Tide (my favorite) and Berry Burst… These beautiful cards was made with our In-Colors and coordinating Designer Paper – Cardmaking can’t get easier than that. I have a few more samples that were quickly created with some simple stamping and a few punches but it truly highlights the 5 new In-Colors. Aren’t these just the cutest? 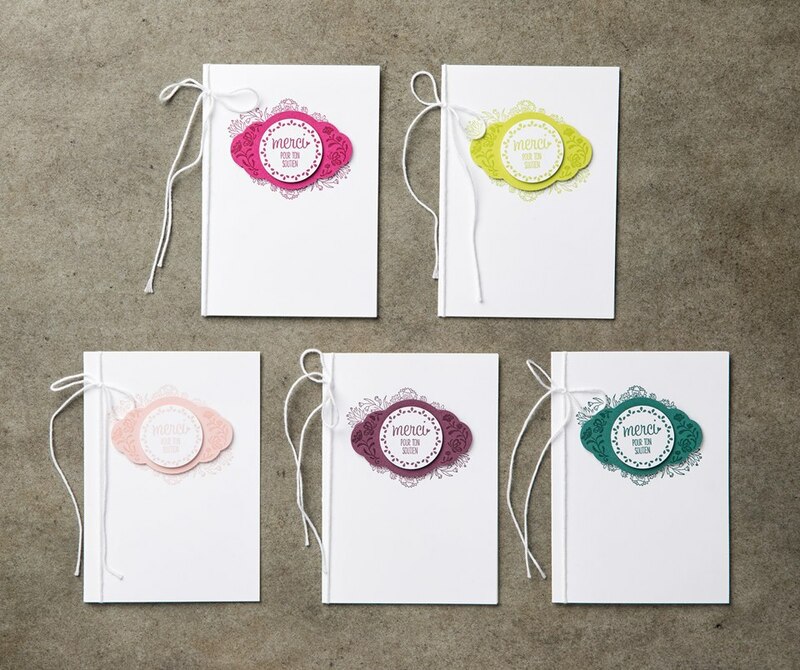 I believe the stamp set used to create these cards has retired but you could easily switch it out with the adorable stamp set “A Good Day” which can be found on page 42 of our Annual Catalog and the Pretty Label punch. 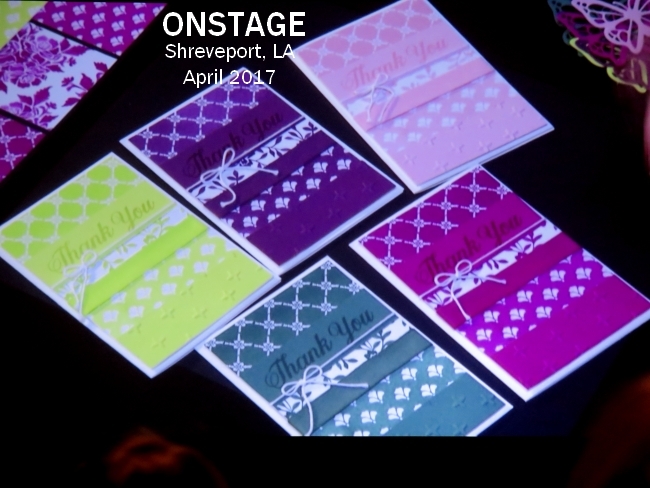 I hope you enjoyed today’s card samples, and don’t forget to order your supplies “before” the retirement list hits the “live” stage, because they will go FAST! The Ink Refills sell out in minutes … so I suggest to order yours now.